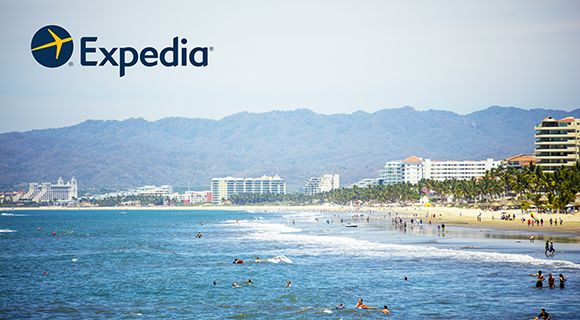 Expedia.mx published its yearly list, compiled thanks to recommendations from the travelers themselves, placing the Riviera Nayarit’s nautical neighborhood at no. 8 in the ranking. Nuevo Vallarta, the Entryway to the Riviera Nayarit, was included in the list of the 40 Friendliest Cities in Latin America at no. 8 thanks to the positive comments by users of the online travel agency, Expedia.mx. In addition to the recognitions garnered over the past four years, Nuevo Vallarta can now add that of Expedia, which is even more special as it was obtained by recommendation of travelers from around the world. The parameters included hotel staff service as well as factoring in hospitality, comfort and relaxation. This is a result of the constant promotion that takes place on a domestic and international level thanks to excellent work done by the Riviera Nayarit Convention and Visitors Bureau (CVB) together with the commercial sector and the community at large, which all join in to offer a pleasant stay to visitors. In that aspect, this nautical residential neighborhood isn’t lacking at all. The development was designed to offer the tourist a luxurious experience without losing the destination’s innate warmth. At approximately 3 miles long, its exclusive beaches are lined with plush apartments, golf courses and elegant restaurants, and it’s home to over half of the destination’s available hotel rooms. Blue Flag Certification: It was received in 2013, for Playa Nuevo Vallarta Norte. This was the first of its kind for a beach in the Riviera Nayarit. Nuevo Vallarta Sur and Nuevo Vallarta Norte I and II each also received a Clean Beach certificate. EarthCheck Certification: Nuevo Vallarta received the EarthCheck Silver Certificate in August of 2016, once its audit had been completed. During the same period hotels including Grupo Vidanta, Hard Rock Hotel Vallarta, Grand Velas Riviera Nayarit and Grand Palladium also received an EarthCheck certification. Clean Tourism Destination: Once again, Nuevo Vallarta brought recognition to the Riviera Nayarit by becoming the first certified Clean Tourism Destination in Mexico, an honor bestowed by the Federal Environmental Protection Agency (Profepa) thanks to its excellent work with Integrated Water Resources Management, Integrated Solid Waste Management, Urban Infrastructure and Natural Resources.